Collectively, five villages of Tignes make up a large ski resort and a prominent French Alp destination. Initially sitting in the valley below Val D’Isère, in 1948, the government moved the village, to build Tignes Dam. These days, the area has expanded and Le Lac, Le Lavachet and Val Claret all sit at 2100 metres, while further down the valley, past the dam are Les Brévières and Les Boisses. A local free bus service connects all villages making getting around easy, and each has cafes, bars, and restaurants for social dining and leisure, comfortable accommodation for holidaymakers and an extensive portfolio for apartment or chalet home buyers. Known as an ideal French Alp resort for beginner and experienced skiers, Tignes has commanded much respect for nearly a century. 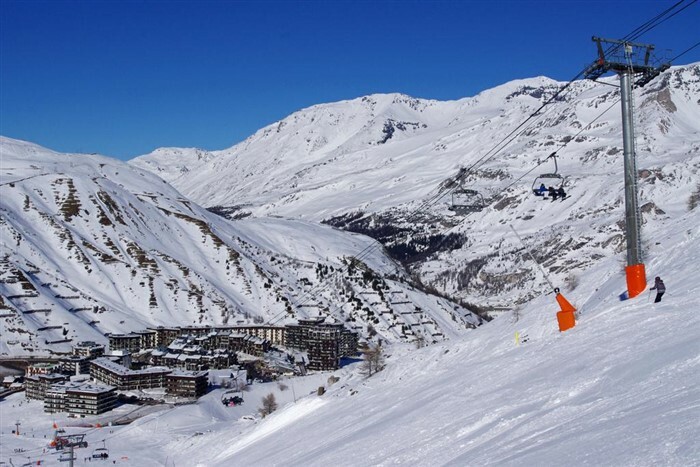 Along with Val D’Isère, it belongs to the large Espace Killy area, covering 300 kilometres and is a sure-fire bet for snowfall. A choice of five villages to stay in, 154 pistes, 87 lifts, and the diversity of each community ensures Tignes’s popularity among skiers young and old. In recent years, efforts to promote it as a dual destination through its golf course and outdoor summer activities are keeping tourists coming in all year round, and many foreigners have bought homes either as buy-to-let income, a holiday home or for future retirement. Holidaymakers and homeowners use either Chambery, Geneva or Grenoble airports to get there, or the nearest train station, just 40 kilometres away. 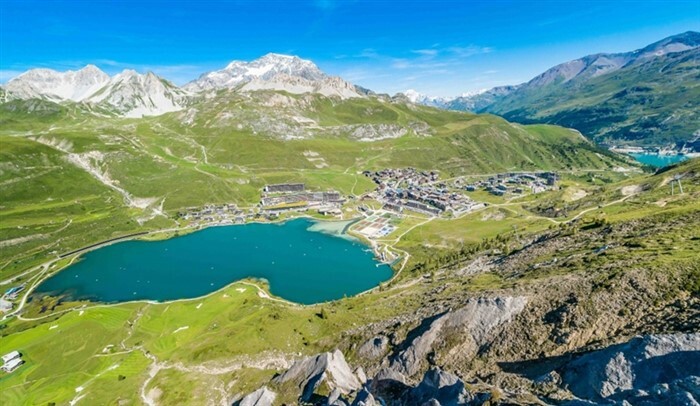 In 2008, the L’Equipe paper called it a sporty city, and in 2015, Tignes received a Green Globe certification, a worthy prize for efforts to preserve local culture, architecture and practise sustainable tourism. If there were a picture-perfect postcard scene for Tignes, Les Brévières would be it. With a traditional Savoyard ambience, quaint stone farmhouses, and small boutique hotels make up most buildings, but even self-catering apartments fit in with the overall picturesque scene. Sitting at 1500 metres, its traditional feel isn’t an accident or well thought out urban planning, because it’s the oldest village, so holidaymakers and homeowners are going back to its 13th-century roots. A cable car heading to Les Boisses, excellent skiing links, and a low key nightlife scene attracts many families on holiday. Earning a reputation as a charming place to have lunch, many skiers also come from around Espace Killy to visit Les Brévières. Once snow melts and picture postcard scenes turn from domineering white mountains to green plateaus, locals wind down after a hectic winter season, but there is still lots to do in summer including hiking and trekking, and mountain biking. Set back from the main road, and at a lower altitude, with just a few nightlife and social options, Les Boisses is low-key but developments in recent years, revolve around new build self-catering apartments. Development work includes a beginner’s area with carpet lifts, so nervous novice might prefer quietness as a good place to learn. 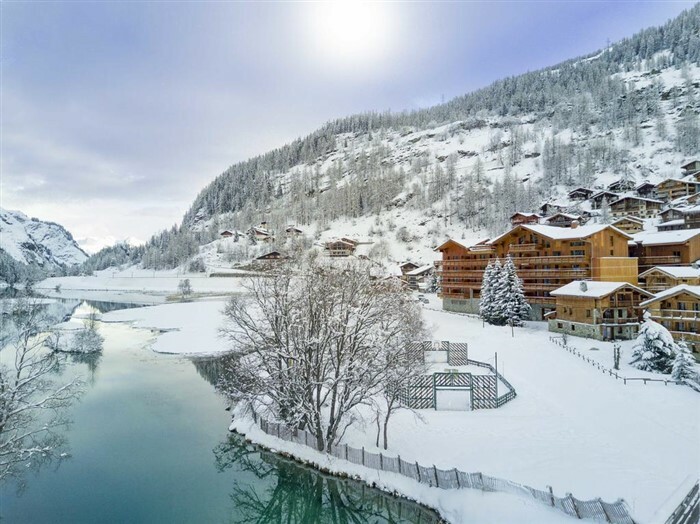 A re-branding campaign called it Tignes 1800, and international promotions are paying off because increasingly more people are choosing this village, operating on a lower price bracket. Getting about is easy thanks to the free bus to Le Lac, and Aiguille Peerce chairlift. Residents and holidaymakers also have easy slope access, while 15 minutes away Val Claret is where you should head for an active social life. Sitting just ten minutes’ walk from Le Lac, Lavachet is a favourite seasonal destination for expats and hard-core skiers. A low-key dining scene revolves around traditional French cuisine, brunch and casual meals. Anyone on a self-catering holiday or potential property buyers will be pleased with a variety of shops and facilities and getting to the slopes is easily done via the Paquis and Chaudanne chairlifts. Buses also run to Le Lac and Val Claret. 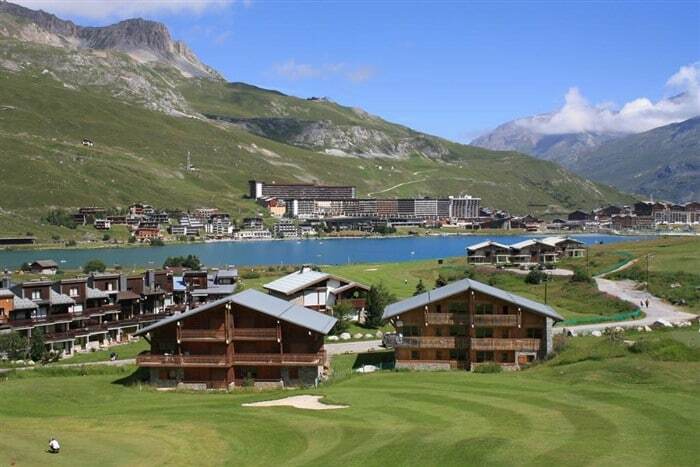 Sitting next to Tignes lake, Lavachet is another summer destination delivering hiking and mountain biking trails. For accommodation and property purchases, Lavachet has headed towards self-catering apartments and residence. Some of them have excellent ski in and ski out facilities, and altogether Lavachet is another ideal family location. Le Lac, the main hub is an all-rounder but appeals to beginner skiers. Holidaymakers and real estate buyers will be more than pleased with the range of ski rental offices, shops, bars, restaurants and facilities. For a dual season resort, Le Lac delivers in bucket loads. Palafour chairlift and Toviere gondola go to the rest of Espace Killy, a bus station connects it with other resorts, and underground car parking accommodate car drivers, and a wide choice of accommodation including chalets, hotels and self-catering apartments means anyone looking for a buy-to-let investment, should choose this area. One of Le Lac’s strong points is that for non-skiers, or those who like to juggle activities, there are plenty of off-slope things to do. Choose Val Claret if you want lively après-ski and nightlife scenes. As the highest village at 2300 metres, it sits on its own, but buses connect it with other villages. Val Claret attracts experienced skiers because it’s closest to the 3456 metre Grande Motte Glacier and during summer, mountain bikers, because of beautiful trails. Set over two levels, the bottom half has quick access to the Grande Motte funicular and Tichot chairlift, while the top half is where the Tufs chairlift and most bars and restaurants are. Val Claret should be where you choose if you want to tap into the short summer skiing season. The villages of Tignes are diverse, and each offers something unique. 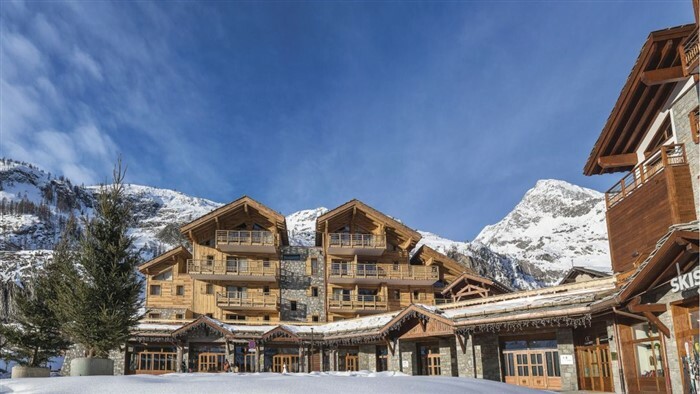 To find out more about its real estate market, see our portfolio of Tignes skiing property. For more information about any home, fill in the enquiry form listed on the same page or call us today to discuss investing in the ski properties market.